I am raising money to cover the funeral and final expenses of my dearest friend Hans Moeller. These funds will be given to his longtime girlfriend, Pam, to look after these expenses. 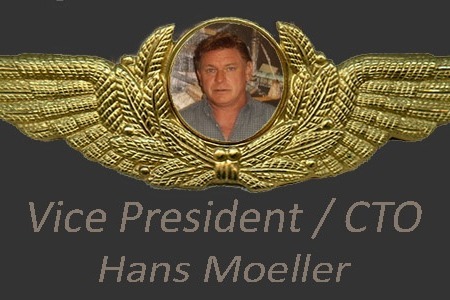 Hans, a valued pilot in the virtual flight community was murdered on this past Friday, April 6th. Hans had a way of touching people in a compassionate way. He became a member of Virtual Northwest Airlines several years ago and was most recently the Vice President/Chief Technologies Officer of the VA. I have been personally involved with Hans since the very first day he was hired. I have a disability that causes me to be in a wheelchair and because of that, I have a speech impediment. Hans immediately saw me past that and had the patience to understand me. He spent hours upon hours talking, laughing and flying with me. He also helped me and many other pilots with their computers. Hans also was a really good computer coder and was helping the airline build a new website. Hans also was the top pilot on the airline in terms of the number of flight hours. He had done 7514 hours and 1663 flights. I always threatened to catch him but he would always tell me that he “would never let that happen”.